Are you busy looking for a new home? Have you fallen in love with the perfect house? Did you know that the premises could be home to a pest infestation? Sorry to burst your bubble but it is better to know before you buy. Here are a few steps you can follow to spot different nuisances in the home and call for pest control services if you need it. Is that a spider on the wall or a german cockroach crawling under the sink? While walking through the house, you can notice insects inside. This is the first red flag and commonly found in most homes. Further, it is a clear indication of a pest indication. Maybe you spotted some dead bugs around; the chance is the owner tried to eliminate the problem before most people could see them. What is that noise? What is that stench? Listen for gnawing sounds when in the attic or basement. Use your senses, as it is a perfect guide to find out where those annoying critters are hiding. Use your smell and ears for anything unusual. If possible, try to book your viewing at night. 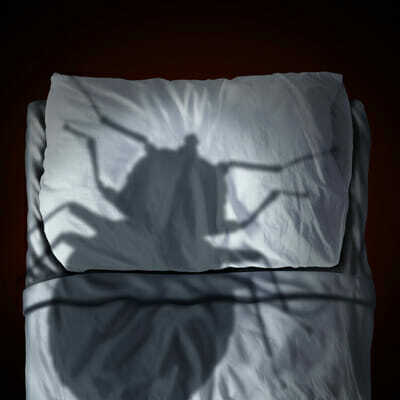 The truth is that nighttime most pests are active. Shoe okay, you are standing and start to pull back a piece of furniture in the room, and low and behold, what are those small black raisins on the floor. The chance is that the house has a mouse or rat. Maybe the cupboards in the kitchen have small black particles looking like dirt. This could be a sign of roaches. Keep your eyes open for any droppings you may even come across the nest. If you do have your heart set on the home, you are looking at and uncertain about pests roaming around just call an expert. Professional pest control specialists in the industry will help you to find out if your new home is pest infested before buying. They will give you a thorough infestation evaluation and determine the right course of action to help eliminate the problem, giving you piece of mind when purchasing your new home.